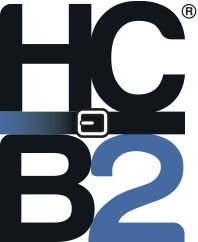 HCB2 needs your input about their upcoming new services. We are here to help prevent cancer. Together, we can make a greater impact. Through the Certified Exercise Training Institute, HCB2 has received education to create functional fitness programs for some of our most vulnerable people - cancer patients and survivors! Our goal is to work with patients and survivors to help increase strength, balance, range of motion, and flexibility, assist to correct muscular imbalances, and aid in the prevention of lymphedema. During and after surgery(s) and treatments, cancer patients are in need of quality guidance and education about proper ways to safely exercise which will increase the quality of life and enhance survivorship. We plan to roll out new services in the Fall of 2019 and we want your input. Functional fitness is for any age and at any stage! * 1. How has cancer directly impacted your life? * 2. Cancer patients and survivors have unique needs in regards to regaining movement, strength, endurance, flexibility, and balance. Do you like the idea of HCB2 offering functional fitness planning and classes for this population? * 3. In what ways could functional fitness planning help you or someone you know who is a cancer patient and/or survivor? * 4. What goal(s) of functional fitness do you believe would be most helpful to cancer patients and survivors? * 5. In which HCB2 events or educational sessions have you participated? Please state what you liked or disliked about the event or session you attended. * 6. Which future HCB2 events or services are you interested in participating? Comment if you would like HCB2 to offer a different service not listed above. * 7. Please share final thoughts about HCB2's functional fitness services coming this Fall. Submit! Thank you for your time.